Two books, and what a brilliant fantasy duo – that draws on Tolkien, Catherine Fisher, Tolstoy, Russian folktales, but makes it all her own and completely original. 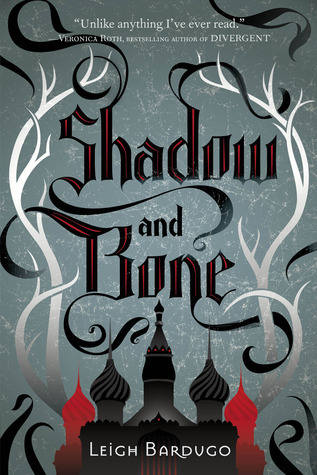 Shadow & Bone is a world of magic and monsters, kings and princes. Meet the Grisha, skilled in magical arts that actually serve a purpose, a useless King, a scheming ancient power called the Darkling, whose forbear once created the Shadow Fold, a looming blackness that consumed the lands around the kingdom and peopled it with monsters that will claw your heart out. The only thing they fear is light. Two unrelated orphans Alina and Mal are raised under the Duke’s patronage, schooled ready for a prosaic life. Perhaps more of their life in the orphange would have been nice but this is YA and they need to grow up fast. Mal grows to be a natural born tracker and will always find a role in the army. Alina, sickly and thin, grows up to a map-maker in the King’s Second Army. They are still together, bound by something raw and fiercely loyal to each other, even if Mal is a rogue lover and Alina is mocked by other, prettier girls, for pining after him. Crossing the dangerous Shadow Fold with the Second Army, they are set upon by the Volcra (the flesh eating monsters of the dark) and as Mal is attacked, Alina summons up all her fear and anger and suddenly sunshine, brilliant light pours out of her to burn out the eyes of the looming monsters. Clearly Alina has been hiding something. She is arrested, summoned by the court and she catches the attention of the Darkling. Many believe she is the Sun Summoner, long promised; never yet seen. Alina is now to be trained as a Grisha, a person of privilege at court and to be parted from her precious Mal. Alina is befriended by Genya, who works her Grisha magic to make Alina seem more than she is. But whom can she trust in the world of the court and the gossiping hangers-on? Mal has disappeared from her life and she has no one to turn to. Learning to fight is hard and try as she might she cannot summon up her special power unless in pain. As we turn to Siege and Storm we see the Darkling for who he really is and as Alina’s power grows and her control of it, understand what temptations lie in her path. Only Mal grounds her and he is back to his old ways. Perhaps Mal may disappoint some readers but his loyalty is his power and of course Alina's weakeness. Sure he doesn't have the magnification of the Darkling but he is there as contrast and a rudder to keep Alina sane. Enter Sturmhond, Captain of a Whaler, the Darkling has hired for the hunting of a sea-dragon. What secret does this Captain have and what interest in Alina? Great fun, beautifully drawn in a wonderfully staged setting. Alina's list of enemies grows and the expections of the people who call her a Saint are sure to be disapointed. Can the Darkling be defeated? Or does he control Alina from her dreams? 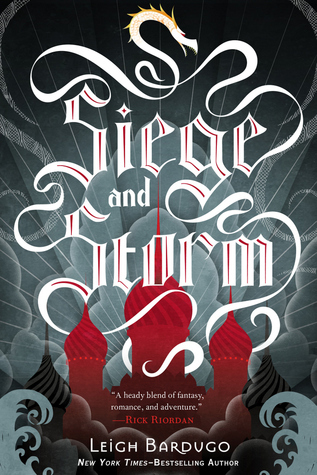 Leigh Bardugo has arrived fully formed and her writing will astonish you as you pray that Alina and Mal can survive long enough for part three!